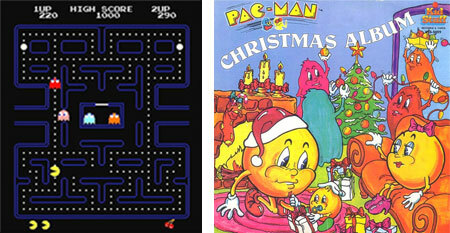 Immediately following his introduction to the world as a Japanese arcade game character in 1980, Pac-Man could do no wrong. 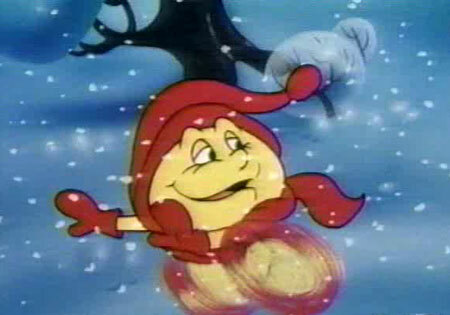 It didn’t matter that his character and design were attributable solely to the graphical limitations of the day – during the early 80s, Namco’s insatiable circle was the basis for more video game sequels and spin-offs than Mario, with toys, a breakfast cereal, a chart-topping album and – you guessed it – an animated Christmas special. 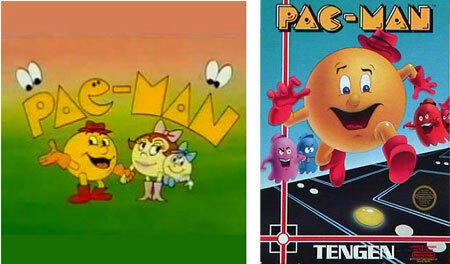 Hanna-Barbera added Pac-Man to its stable of awful cartoon series in 1982, and according to legend the number of advertisers dying to hock their wares during the premiere necessitated commercial breaks that were twice as long. 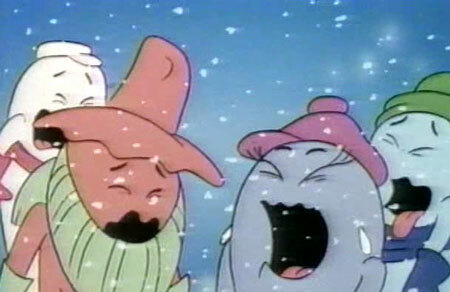 A single Christmas episode aired during primetime that winter and continues to be shown on Cartoon Network’s Boomerang network every year, even though the show ceased production in 1984. 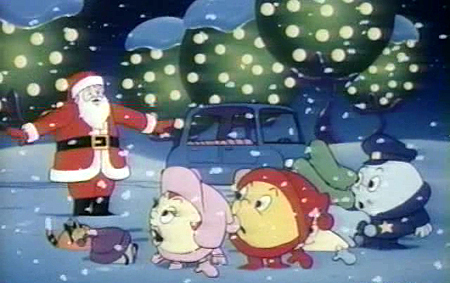 Hope you weren’t looking for Christmas Comes to Pac-Land to stray from the Hanna-Barbera formula of weakly animated, asinine storytelling with a lethal dose of catchphrase-spewing stupidity. Even the Christmas Spirit has its limits. In case you don’t know, what separates PacLand from our world is its spherical (well, rounded) appearance and an inability to celebrate Christmas. 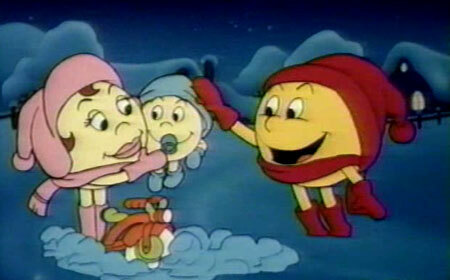 So Pac-Man, Pepper Pac, and Baby-Pac open the special by minding their own business outside in the snow. But there’s definitely something in the air… Not only do we see no sign of the series’ villain, Mezmaron, but even the Ghosts Gang doesn’t seem all that concerned with Power Pellets, the accumulation of which had been one of the series’ primary themes. 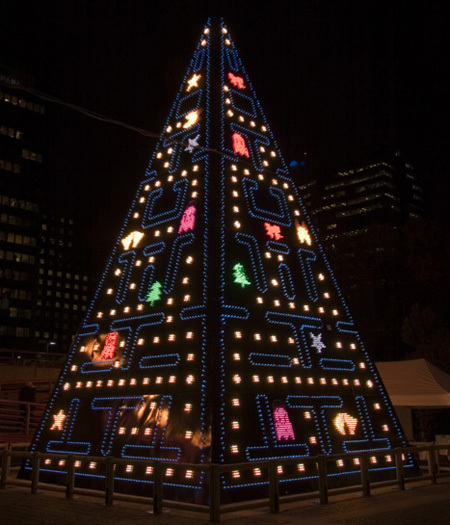 It’s the time of year for B-grade motivation, and if you’re unfamiliar with the only thing Pac-Man can really do, that would be…chomping. Yes, biting each other. 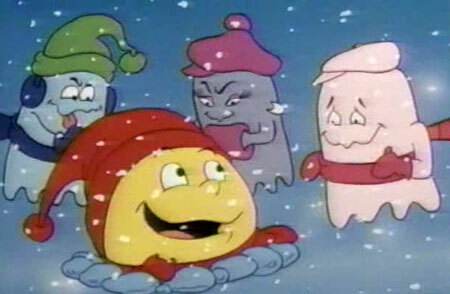 But whereas Pac-Man and his wife “Pepper” bite back only in self-defense (and with the necessary aid of Power Pellets), ghosts Clyde, Inky, Blinky, Pinky and Sue seem hellbent merely on sinking their teeth into something. 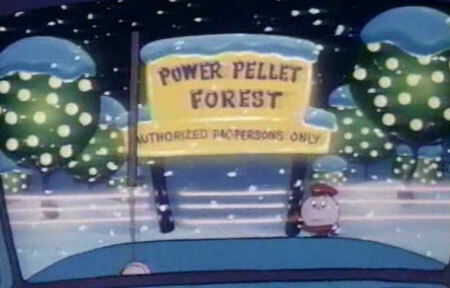 Power Pellets are in such short abundance, they’re stored in unlocked roadside boxes and grow on trees. 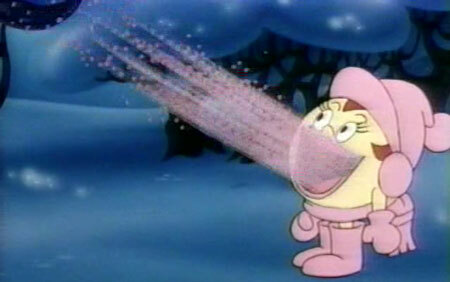 Once the Pac-Family swallows the pill-like Pellets, they’re momentarily endowed with super powers and can fend off their supernatural attackers. And the Bitees become the Bitten. 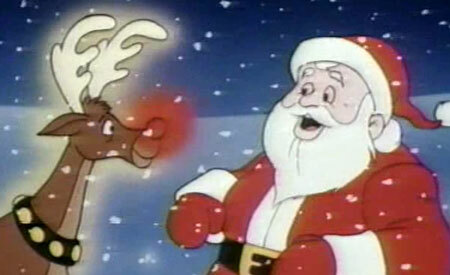 Unfortunately, though, their wayward amphibious eyes just so happen to startle Santa’s reindeer this time! 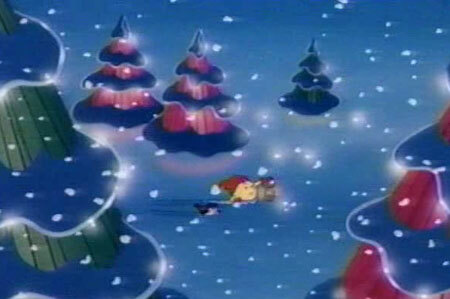 Santa has fallen to earth (er, PacLand) all because of a literally translated plot device! 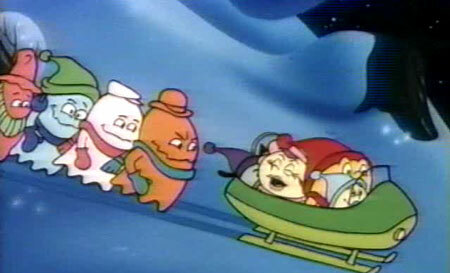 Santa’s in bad shape, so Mr. Man and the family haul the fat man and his reindeer back to their house for a little TLC. 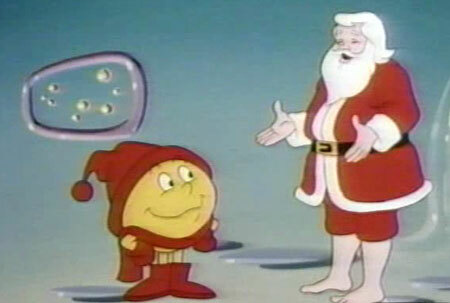 Santa informs Pac-Man that if he can’t find his sack of ancient toys, Christmas is fucked beyond all repair. There’s no way Pac-Man’s going to disappoint every boy and girl out there on this cultural occasion. And he’d never even seen a human until a few minutes ago, so that’s pretty damned heroic! Or just fantastic writing. 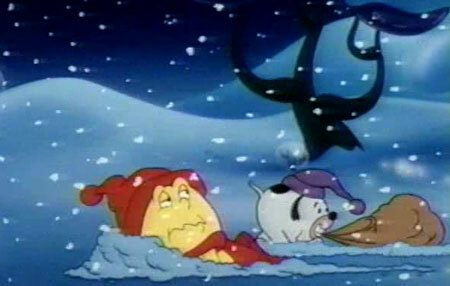 …Pac-Man ventures out into the Pac-Wilderness with his trusty pup, Chomp-Chomp (are you noticing a theme yet?! 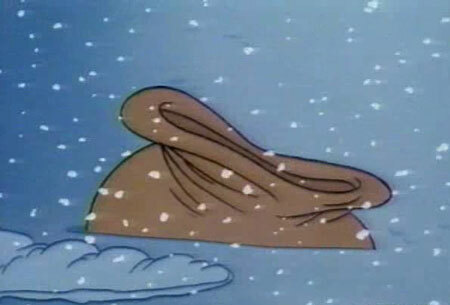 ), to find Claus’ misplaced sack. Unfortunately, it’s the ghosts who find it first. 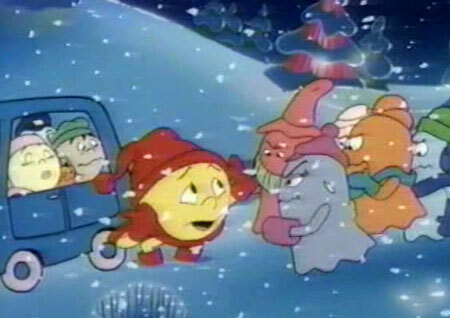 In another act of valiant scripting, Pac-Man concocts a plot to dig a tunnel under the snow and grab the bag out from under the preoccupied ghosts. 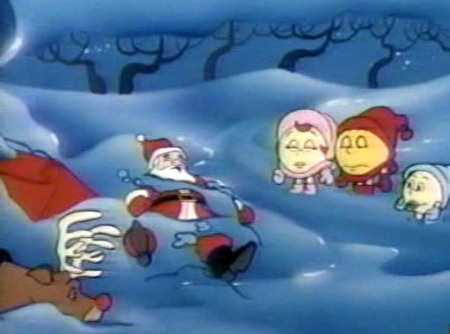 Chomp-Chomp hides with the bag that’s carrying an entire planet’s worth of gifts, while Pac-Man runs away from the bite-mad ghosts. Sadly, he trips and falls, allowing the Ghosts to catch up to him! Pac is surely a dead man…or perhaps this is a Saturday Morning Cartoon-based special not brazen enough to depict a violent group-gnashing? Yeah, it’s the latter. Turns out being attacked by the Ghosts Gang – the lone threat to Pac during the entire series – results in nothing more than a light daze. Nevertheless, Pac-man has failed. But in the Hanna-Barbera style of moving things along, this somehow resolves the conflict completely and he succeeds anyway. With the toy sack secured and the sleigh fixed, it looks like Christmas is fully on the mend. 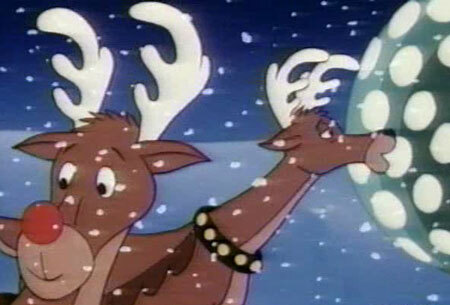 Suddenly, however, we’re then informed that Santa’s reindeer are too sick to fly. Somehow these majestic beasts, who hail from the North Pole and travel the entire world – a good portion of which is experiencing some form of winter – in a single night, have caught cold after crashing in snowy Pac-Land. 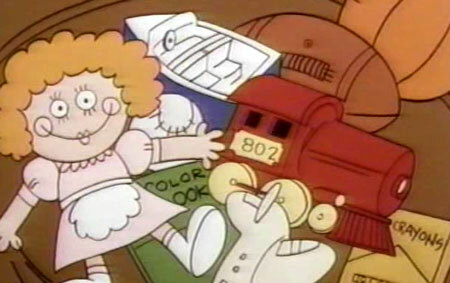 Christ, is this thing being animated LIVE?! 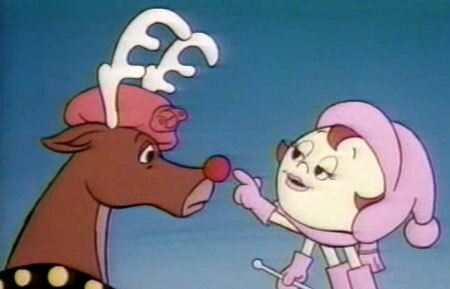 Pac-Man leaps into his mid-sized sedan and tugs Santa to a place sure to reinvigorate the reindeer. 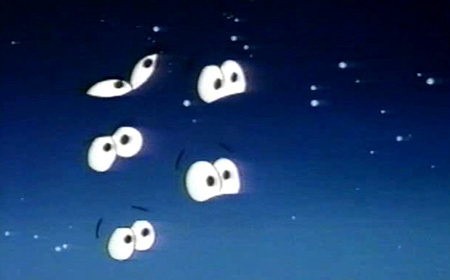 But – wouldn’t you know it – the ghosts are still on the prowl. On the prowl for what? To get Pac-Man, I guess! 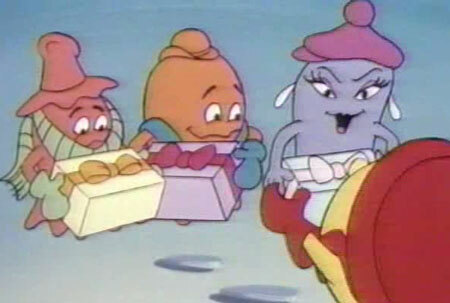 Sure, they already seemed to have gotten what they wanted, having bitten the guy just moments ago, but this is the motiveless give-and-take standard synonymous with thinly veiled 80’s cartoon shows meant to sell more than commercials. Now here’s a weird one. The barely articulate “Packy” (as his wife refers to him, with no thought to how offensive that term is to Pakistani people) manages to convince the ghosts to give him and Santa a pass on their pending shenanigans in the interest of preserving the timeliness of a Holiday they’ve never heard of. Thus our action starved heroes move along to an orchard where the entire cartoon series’ central object of struggle literally grows on trees? No need to test its effects on earth mammals – EAT! 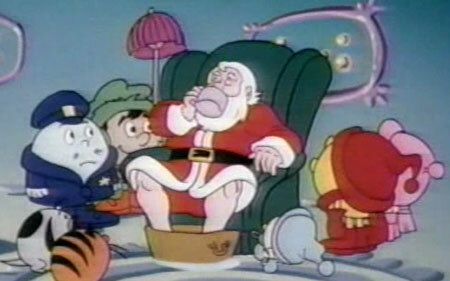 …until the radioactive glow of Holiday performance enhancement lets Santa know that the Power Pellets have indeed kicked in. 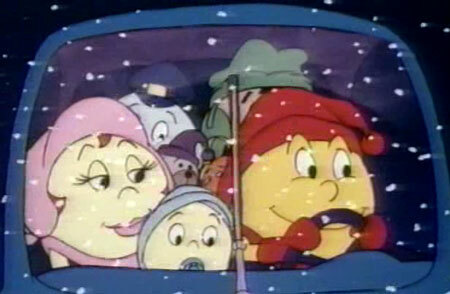 Mission accomplished, Kringle gets the hell out of dodge at Mach 10, and the gang returns home. 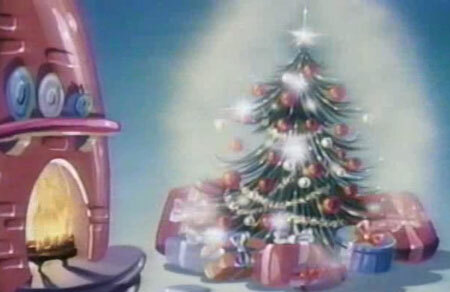 But somebody’s left a surprise that neither the events of the “plot” nor Santa’s trans-dimensional break-out can account for…that must mean Christmas! And even after the ghosts have a second change of heart and barge into Pac’s house looking for a fight, we find that Santa didn’t forget about them either. No, seriously. You shouldn’t have. Zilch. Two intertwined dimensions was probably one too many. 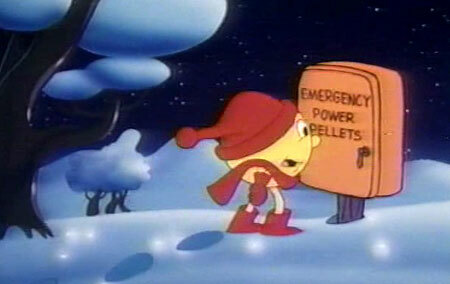 There’s no way the Pac-Man writers were going to leave autopilot long enough to shoehorn Christ into this story. Dude, you’re scaring the children…even more than usual! 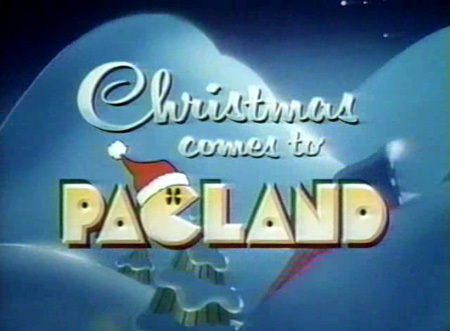 At the expense of the series’ (debatably) established premise, Christmas Comes to PacLand enjoys a heaping dollop of obligatory Christmas feelin’…which is exponentially stupider than usual and that’s saying a lot. I can only recommend the thing to lifelong gamers like myself, who somehow get a kick out of seeing the medium done a profound disservice. Pac-Man Collection for the GameBoy Advance contains only the finest Pac-Man games still worth playing, at a super-low price. The GBA game still works on the Nintendo DS and Nintendo DS Lite, although NOT the Nintendo DSi. Pac-Man Championship Edition is the most worthy update to the original Pac-Man EVER! Fast, fun, and optimized for High-Def, widescreen televisions. And the table top arcade unit we all remember from many a pizza parlor growing up? Super-expensive, but awesome nonetheless. I know I’ve always wanted one, and up until now I had no idea Namco was legitimately selling new ones to the public. Man, I’d really like to see this one still. Very funny captions, by the way! One of the stupidest things i’ve ever seen. Best. Caption. Ever. 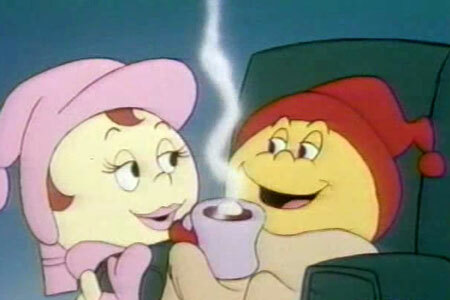 This is Hanna-Barbera’s best animated work ever. Even the show is based on an iconic video game. Oh come on! 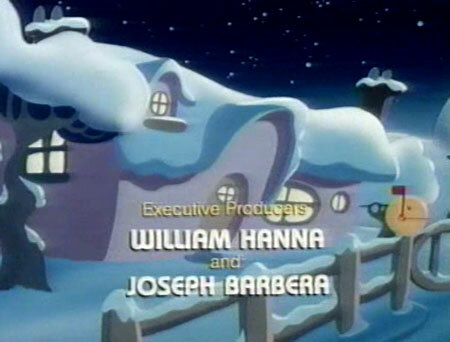 Hanna Barbara was what we grew up on and this was one of the things that bring me back to my childhood. Always iconiceven if it was corny. 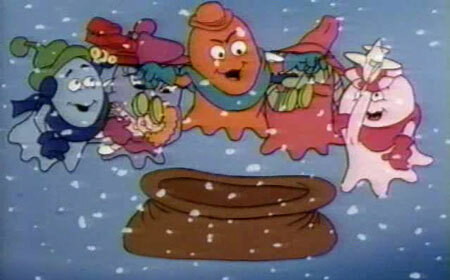 The crap kids have now has no value whatsoever and they will never know the joy of wanting to see it year after year. It’s strange. 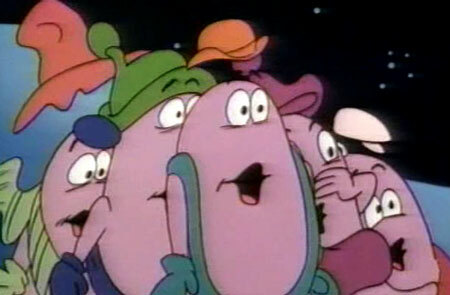 I remember watching this. . .during the 90s. 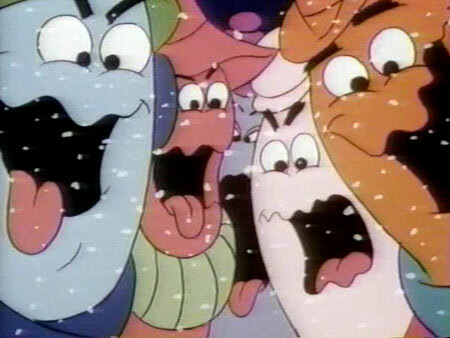 The only reason I know there was a pac-man cartoon was because cartoon network showed this episode a couple of time when I was a kid. 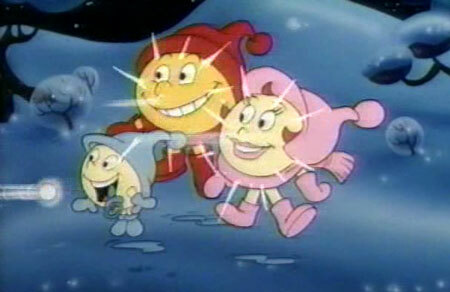 I was psyched because there was a pac-man cartoon and pac-man was awesome. Little did I know how stupid the show was.